High-quality, pure creatine monohydrate! CREAPURE certified, which means pharmaceutical purity! The addition of magnesium per serving. Supports muscle growth! Creatine contained in the 4 + CRM + is the most popular supplement used by strength athletes, and how forcefully endurance. Creatine improves the strength of muscle contraction, which is associated with an accelerated re-synthesis of ATP. It also exhibits anti-catabolic effect, reduces the acidification of muscles and improves nitrogen balance. The above-mentioned effects of its use are directly affected to build lean muscle mass and strength. This process is called at very short, intense effort if creatine level is low. 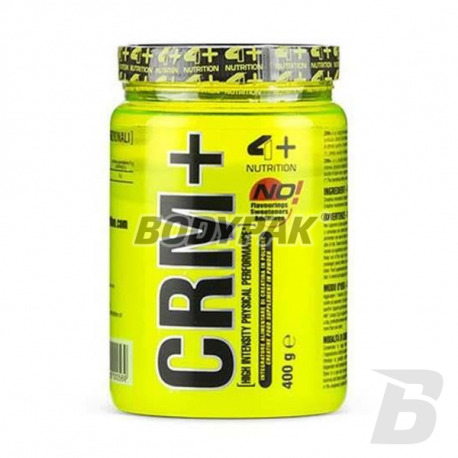 These levels are generally low in the human body, so if you want to continue training at intense effort, it is advisable to supplement creatine level. 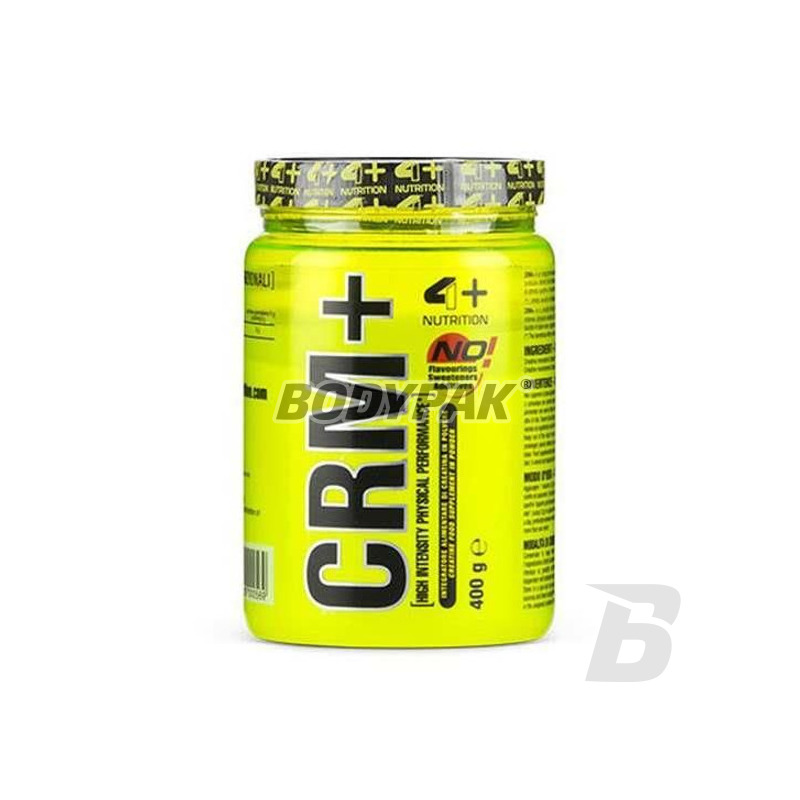 4 + CRM + was based on Creapure is a patented form of creatine micronized laboratories Degussa so absorbed faster and easier than regular creatine monohydrate. Creapure mikrorozdrobnienie characterized by the highest quality, purity and lack of moisture. Creatine supplementation increased muscle phosphocreatine resynthesis, especially after the exertion of high intensity. This contributes to an increase in strength, endurance, strength and muscle mass. Creatine is one of the few supplements that high efficacy is supported by numerous scientific studies. For this reason, and also because of its strong, it has become one of the most effective formulations for use in sports strength, endurance and speed events. Rewelacyjny produkt.. certyfikowana forma kreatyny mono i magnez.. połączenie jakości i siły działania!